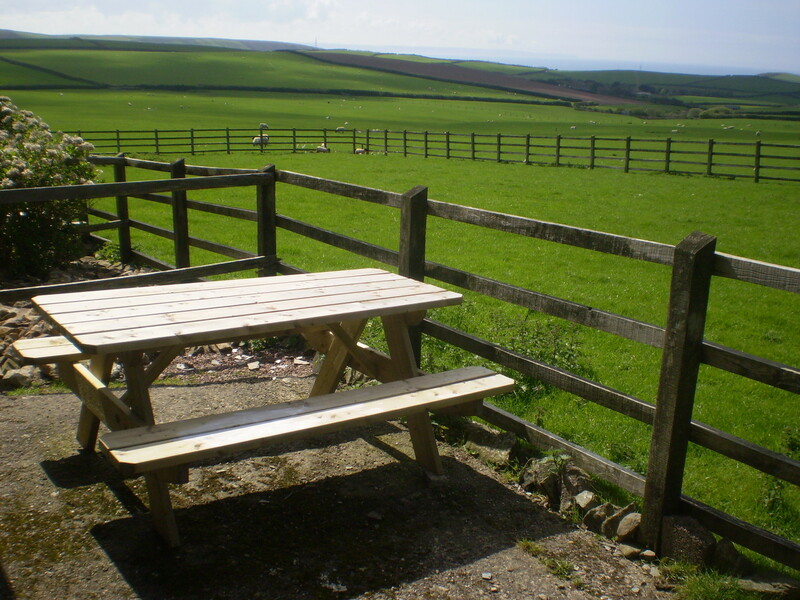 Our holiday cottages have spectacular views overlooking Woolacombe Bay. They are converted from stables and barns at Pickwell Manor Farm. 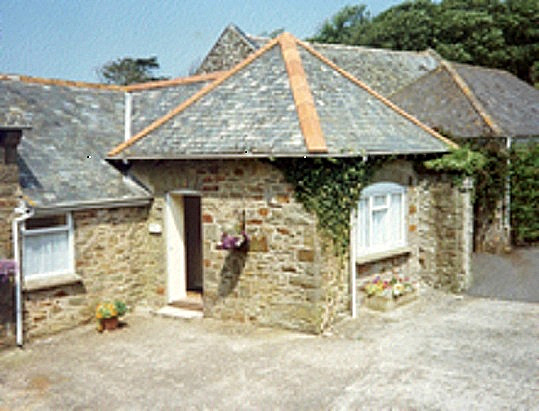 The cottages are in a courtyard setting with driveway parking. 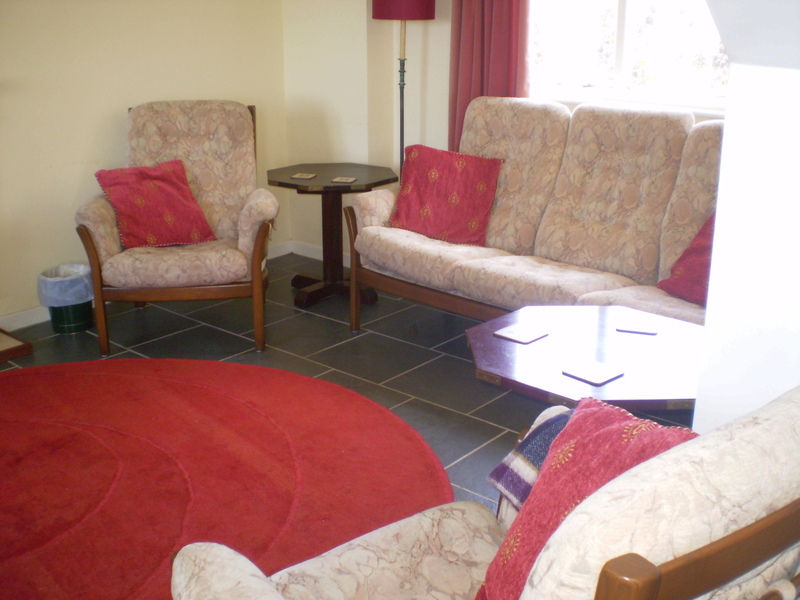 A 2 bedroom cottage accommodating up to 5 people with flexible sleeping arrangements. This cottage has an open plan living area overlooking the coast. It has two upstairs bedrooms with sea views. One bedroom has a double bed and two singles. The other has a double bed and one single bed. The spacious downstairs bathroom has a full size bath with shower over. There is a television and dvd player in the living room. The kitchen area has a fridge freezer, washing machine and microwave. A 2 bedroom cottage, mostly on one level, accommodating 4 people. 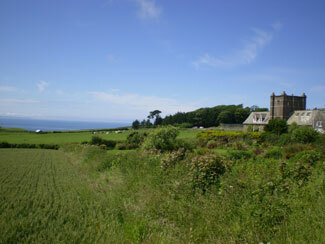 This cottage has a bright living room and kitchen/dining room, with large windows overlooking the coast. It has a double bedroom with sea views and a small twin room on the courtyard side. The bathroom has a full size bath with shower over. There is a television and dvd player in the living room. The kitchen has a fridge freezer, washing machine and microwave. .
From the M5, Junction 27, follow the A361 North Devon Link Road in the direction of Barnstaple (35 miles). Continue on the A361 from Barnstaple, passing through Braunton, Saunton and Croyde, to Georgeham. 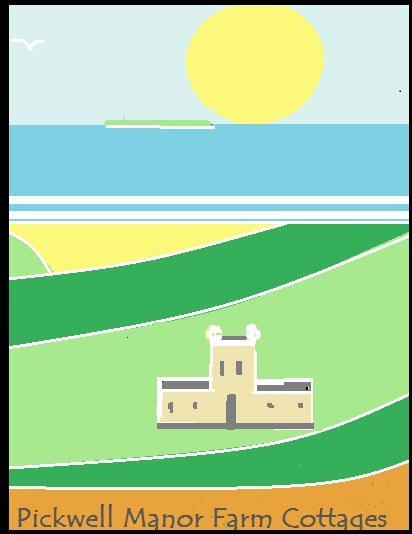 Once in Georgeham, turn left down Netherhams Hill, immediately after the Village Hall, then left along Putsborough Road towards Putsborough Beach. 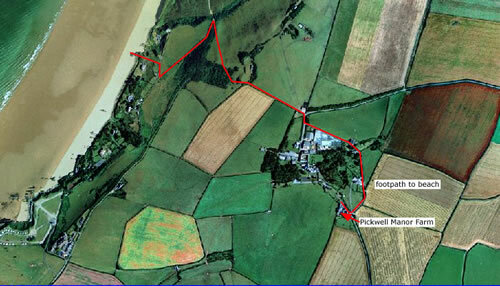 300m along Putsborough Road turn right at the Pickwell signpost and Pickwell Manor Farm is the first building you come to over the hill.